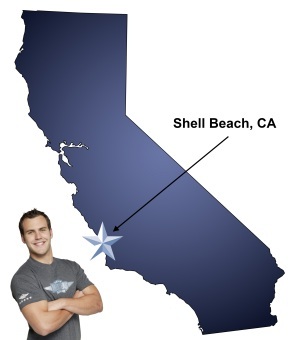 For a trouble-free move to Shell Beach, Meathead Movers is the company for you! Our professionally trained student-athlete movers are ready to get you into your new Shell Beach home. If you are moving to or from anywhere in Shell Beach, we are the moving company for you! Our professionally trained student-athlete movers and our moving concierge service are here to help you with every stage of your move in Shell Beach. Shell Beach is a beautiful coastal neighborhood in Pismo Beach, California. With nine separate beaches, scenic coves, beautiful natural bluffs, and interesting tide pools – Shell Beach is the perfect place to enjoy the water and California sun. If you are considering a move to this beautiful coastal community, Meathead Movers is here to help. Our moving company specializes in local, long-distance, and commercial moves to, from, and within Shell Beach. We also provide reliable packing, storage, on-site relocations, and our distinctive moving concierge service, which connects you with local service providers. All our student-athlete movers are thoroughly screened and trained before their first move. With branches not just in Shell Beach, but all throughout California, we are your one-stop resource for all your moving needs, no matter where your California move takes you. In fact, you can see what your neighbors in Shell Beach have to say about us. With our 100% satisfaction guarantee, the only thing you have to lose is the stress that comes from moving! So contact us today for a free no-obligation moving quote and to learn how we can help you on your next move! Moving to Shell Beach? Here are some helpful resources. View more Shell Beach resources. Jonah and Elisha (sp?) were great. They crushed it for us and appreciate the help. Your professionalism and your calibre of employees. ALEX and other crew member were skilled and treated my belongings with respect. Nice young .men. The movers arrive on time, move quickly aND efficiently and aren't afraid to readjust to move large pieces of furniture.